This post was first published August 30, 2011. As we have already witnessed the start of the 2016 season we still draw comparisons of expectations and reality. Watching how my fellow New Yorkers reacted to Tropical Storm (née Hurricane) Irene over the past weekend reminded me of the tremendous power of not only nature—but also of expectations. I don’t think New York City residents are unique in this, but perhaps more than most Americans, we are ready—even eager—to go into crisis mode at the first hint that something—a blizzard, toxic emissions from chemical plant across the Hudson in New Jersey, or, most recently, a hurricane–may conceivably be heading our way. They immediately head out to the local grocery, where they strip the shelves of edibles and potables. They stock up on DVDs and flashlight batteries. They trade opinions with friends and neighbors on how best to survive the coming cataclysm. And, above all, they turn on the TV. There, local and national channels are delighted to feed into viewers’ ravenous appetite with endless, mind-numbingly repetitious coverage of what’s happening or might happen. Countless experts share their insights and advise citizens how to get through this. And anyone who ventures outdoors will likely have a microphone thrust into his face by a reporter and cameraman in need of yet another interview to fill a 24/7 coverage schedule. In fairness, in the case of Irene, the threat of loss of life and property was very real. So, it was wise to be prepared for the worst. As it turned out, the hurricane–which was downgraded to a tropical storm just before it reached New York—brought neither as high wind or water as had been feared. And, fortunately, with some notable exceptions, the damages along the storm’s path fell short of expectations. What struck me after the storm had passed was what how different New Yorkers’ reactions to it were because of their expectations beforehand. Because we were anticipating much worse conditions–higher winds, more widespread loss of power, and greater rain and flooding, we felt great relief, jubilation even, that most of us had got through Irene unscathed. There was also a lot of self-congratulating, especially among public officials, who were glad to take credit for steering the city safely through a dangerous situation. Ordinary citizens took pride in having their self-image of being tough and resilient reinforced. Contrast that with how people would have felt in two other scenarios. First, if meteorology were an exact science and we had all known exactly how much wind and rain and flooding to expect, I think most New Yorkers would have been annoyed about a wasted weekend. Everything was shut down—stores, restaurants, movie houses and Broadway theaters, museums, parks, even the bus and subway lines. And there would have been no compensating happiness over having dodged a bullet—since we would have known all along what was going to happen. 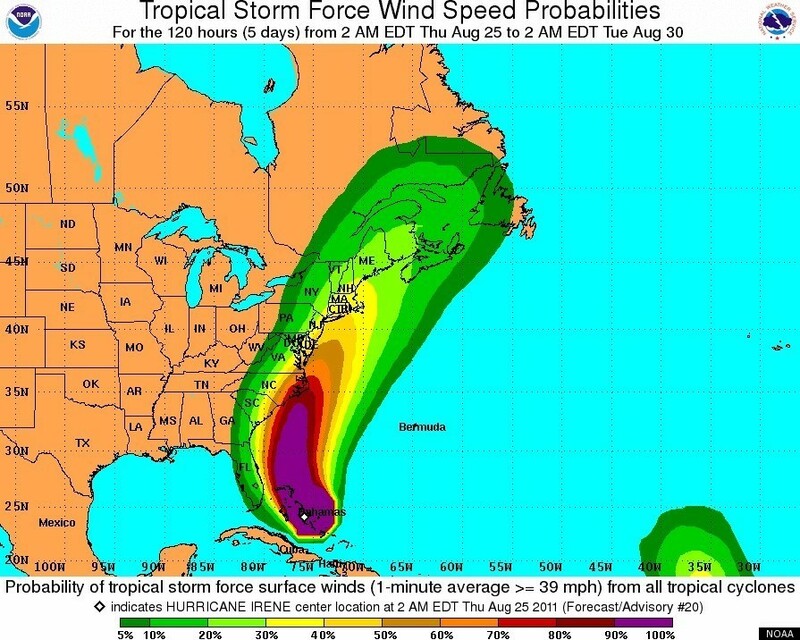 A worse scenario would have been if we had been told that Irene would miss New York or be very weak when it arrived. Even if the actual storm conditions had been the same, people would have been angry, and rightfully so, that no one had warned them. And, since they had not been prepared for what turned out to be a significant tropical storm, they might have done things that would have put them in harm’s way. Just as their expectations affected how people responded to Irene, the same is true for people when they get hearing aids—especially when it’s for the first time and they have no direct experience to draw upon. Granted, the situation with hearing aids is by no means an exact parallel with the case of a hurricane. With Irene, because people expected her to be very bad, they were delighted that she turned out to be not so bad. Obviously, if people expected that wearing hearing aids would be an awful ordeal, they would simply refuse to do so and would never learn that it wasn’t so bad. With hurricanes, you can’t just say no; with hearing aids you can—and too many people do. Still there is a valid comparison to be drawn. In either case—getting through a hurricane or a hearing aid fitting successfully—people tend to be happiest when the reality proves to be better than they expected. In discussing the various limitations and inconveniences of even the most advanced hearing aids, hearing professionals need to find a delicate balance. If they overstress the shortcomings of amplification to avoid creating expectations so high they are unlikely to be met, the patient may become discouraged. On the other hand, if practitioners fail to make patients aware that along with the benefits of hearing aids they should expect a few hassles, new users are likely to be disappointed. When that happens, they are likely to return the devices or put them in the proverbial drawer. Businesses often say they don’t want to meet customers’ expectations; they want to exceed them. While that’s become a bit of a cliché, it makes sense. In the case of Irene, people in New York were delighted that it wasn’t as bad as they expected. With a hearing aid fitting, the ideal situation is that it is even better than the consumer expected. In the latter case, unlike with a storm, the practitioner is in position to give patients the best-performing hearing aids possible. But until the day arrives when hearing aids are a perfect solution to people’s hearing problems, skillfully managing their expectations will remain a crucial part of the art of successful hearing aid fitting.